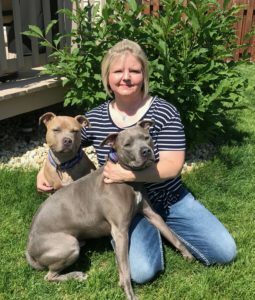 Lynette, Chi-Town’s Rescuer-in-Chief, has spent her life around ‘underdogs’ so it is no surprise she has devoted herself to pittie and bully breed rescue. Growing up, her family always seemed to have the dog with the bad rap. The Dobermans, German Shepherds and Rottweilers were to the 70’s and 80’s what the pit bulls are today. When she became an adult and was ready to start a canine family of her own, it only made sense to her to look to the next ‘breed’ in the hot seat: the Pit Bull. 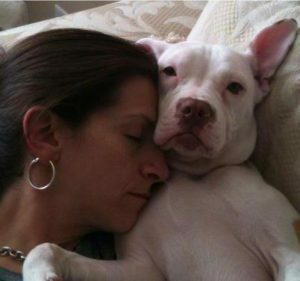 At that time, rescues were overly cautious about who they would adopt pitties to in an understandable reaction to the heat the breed was taking and their vulnerability as a result. 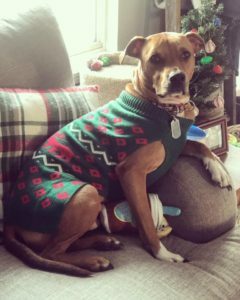 No one seemed to want to offer their dogs to a first time pittie owner, even one with large breed experience, especially if they had kids and other dogs. Luckily we have come a long way since then in understanding that dogs have to be judged as individuals! 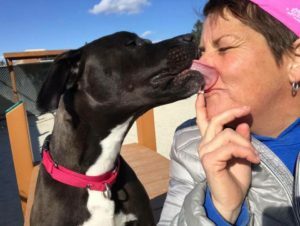 With no other apparent choice, Lynette got her first pittie from a breeder but later was able to rescue one (even with a child, another pit bull and a Chihuahua). 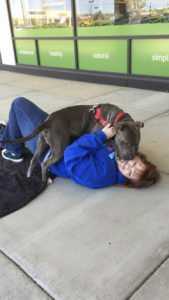 Her rescue involvement began shortly thereafter with her most recently serving several years on the governing board for another area rescue before making the decision to start Chi-Town Pitties, Inc.
Sue started fostering Pit Bull's in 2011 and fell in love with the breed. 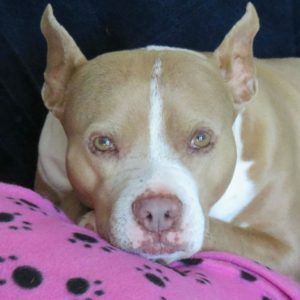 Since then she has volunteered with several rescues and is currently on the board of Chi-Town Pitties Inc. as the Secretary. Sue also works full-time in the Corporate world but volunteers her time with the rescue. She is an advocate for the breed and continues to make a difference in each dog's life that is saved. Sue is currently the guardian of two rescue Pitties and a feisty Chihuahua. 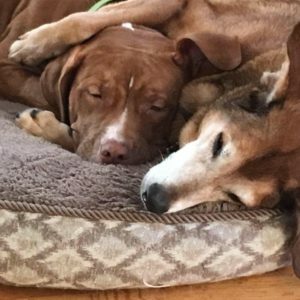 Jordan’s parents started fostering bully breeds when she was in high school and since then she has fallen head over heels for the breed, now at age 24 she has fostered dozens of CTP pups. Jordan rescued a pit/beagle mix 3 years ago from another rescue before finding CTP and adopted a cat from a local shelter. 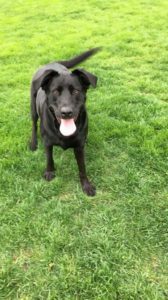 She is also currently enrolled at Animal Behavior College to become a certified dog trainer and self-studying with Allie Bender to be a canine behavior consultant. Right now Jordan is a full time Nanny and part time dog walker/pet sitter with her own small business- J-Walking K9’s. Some hobbies of hers are binge watching animal related documentaries on Netflix and hanging out with her family. Shelly is our Content Team Lead and is responsible for the monthly newsletter and the Dog of the Week emails. She currently has a pittie named Coqui that they rescued from the jungles of Puerto Rico and a cat named Bella that they rescued from a parking lot as a wee kitten. She works as a housewife and as a part time jewelry designer with her business, Lavoro Designs. Her hobbies include vegan cooking and baking, glamping in their RV and watching so many TV shows that it's like a job. 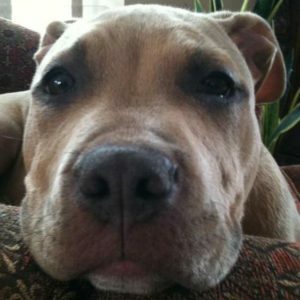 She volunteers with CTP because she wants to help save lives and make a difference in the lives of pitties.